A Saskatchewan Conservative candidate claims the federal government has decided to cut funding to the International Planned Parenthood Federation, a decision he says was influenced by anti-abortion supporters. 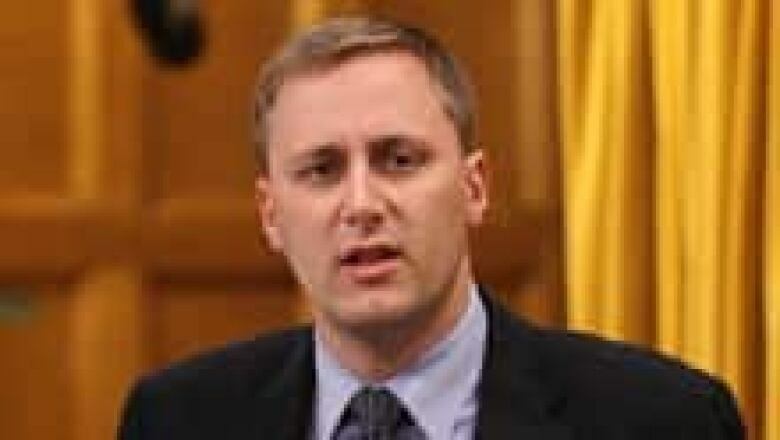 Brad Trost told the Saskatchewan ProLife Association's annual convention last Saturday that the federal government has decided to cut funding to the International Planned Parenthood Federation. A Saskatchewan Conservative candidate says the federal government has decided to cut funding to the International Planned Parenthood Federation, a decision he says was influenced by anti-abortion supporters. The decision on whether to fund the organization has not yet been announced. But Brad Trost, the incumbent candidate for Saskatoon-Humboldt, told the Saskatchewan ProLife Association's annual convention last Saturday that anti-abortion supporters who signed petitions played a big role. "Let me just tell you, I cannot tell you specifically how we used it, but those petitions were very, very useful and they were part of what we used to defund Planned Parenthood because it has been an absolute disgrace that that organization and several others like it have been receiving one penny of Canadian taxpayers' dollars," Trost told the group to applause. "And so there’s going to be a lot of vigilance and pressure and if you and your groups hear anything, please help us as members of Parliament because we’re going to be on the lookout as they try to get in there. I’ve got reports that they’re trying to get grants and again we will be pushing back from the other side." Dimitri Soudas, the Conservative party's chief spokesperson, called reporters travelling with the Stephen Harper's campaign to an impromptu scrum at 12:30 a.m. on Thursday in St. John's, N.L. Soudas read from his smart phone reiterating the basic talking points of the government's signature G8 "Muskoka Initiative" on child and maternal health. The group has been waiting for more than a year and assumes it has been cut off — similar to the fate of other non-governmental organizations that have fallen out of favour with the Harper government. "I can't comment on specific applications," Soudas said, but added the government would work with "organizations like International Planned Parenthood that will focus its energy and efforts on the criteria that we have laid out."